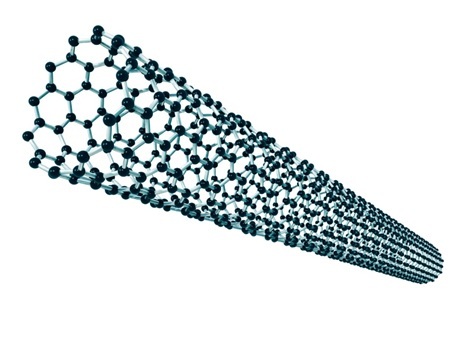 As regular readers of our blog may recall, in one of our recent posts we started a fascinating new series on advanced materials by exploring the groundbreaking material graphene. If you enjoyed this fascinating insight into the marvellous world of materials, then you’re in luck, as here in the second part in our continuing series we’re going to delve a little deeper and take a closer look at another magnificent material that really is out of this world – Vantablack. Ever heard of Vantablack? Whilst this might sound like the name of a super villain, in reality the term refers to a recently developed material that claims to be the blackest black ever seen – or rather not seen! Blacker than black, Vantablack is a material so dark that you can’t even see it. If you’re wondering why, it’s not because the human eye is incapable of seeing it, but rather that our brains simply cannot make sense of what it is that they are seeing. When you look at Vantablack it simply appears as a flat, featureless void – which makes for a pretty eerie experience! Shapes and contours are lost, leaving nothing in their place save an apparent abyss. Hence gazing at this glorious material is pretty much like staring into the depths of a black hole – and by that we mean the kind found in space, obviously. The material was developed by the British company Surrey NanoSystems, following a number of years of intensive research. And whilst they have been keeping a little hush hush with regards to the secrets of this material and how it was engineered, what we do know is that the material is made from a tightly woven thatch of carbon nanotubes – each of which is 10,000 times thinner than the average human hair. So small are these tubes, that they can even prevent light from entering them. And what’s more, because they are incredibly tightly packed, any light that does make it between these tubes merely bounces between them until it’s absorbed – which is pretty incredible when you come to think about it! This material is able to absorb all but 0.035 per cent of visual light and as such has set a new world record. Hence light may go in, but it definitely won’t come out! As if all that wasn’t unusual enough, these nanotubes are grown – yes, you did read that right – on sheets of aluminium foil. In addition to its amazing light absorbing properties Vantablack is able to conduct heat more than seven times as effectively as copper, and has 10 times the tensile strength of steel too. Given the astonishing properties of this material, it has captured the imagination of the world. Touch screens, ultra black coatings, aerospace components, astronomical cameras, and telescopes, these are just a few of the amazing applications Vantablack could be used for. But if you we’re thinking of getting your hands on some of this wonder material for yourself then you might want to think again. It’s so expensive that its makers have so far refused to even name a price! All in all, this black to end all blacks is a fantastic example of how engineers are able to push the boundaries and manipulate materials to produce ever more remarkable results. We hoped you have enjoyed this quick look at the void that is Vantablack! Here at Airedale Springs we know a thing or two about materials and how essential they are to the success of any product. We only ever use the finest materials in all of our spring products – including our small springs – ensuring that they are able to provide optimal levels of performance. If you would like to know more about our services, then simply get in touch with a member of our expert team today by giving us a call on 01535 643456, and we will be happy to help you with your enquiries.